Keeping your hands safe and comfortable whatever the weather, the Briers Advanced Warm Lined Gardening Gloves B6423 are the ideal versatile and practical addition to your gardening attire. The reinforced palms, thumbs, and forefingers increase safety during more robust tasks, while the breathable backs help to keep hands cool and comforable. The gloves also feature an anti-vibration patch in the palm, which reduces some of the impact when working with power tools. 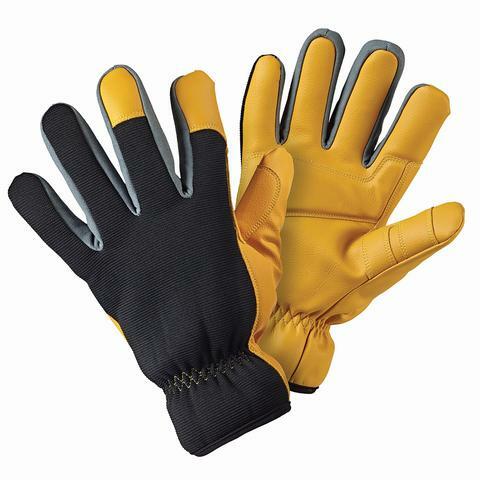 The Briers Advanced Warm Lined Gardening Gloves B6423 are available in a single size that should be suitable for most users. Please measure the circumference of your hand around the knuckles (excluding the thumb) with your hand open and your fingers together, and the length of your hand from the tip of your middle finger to your wrist.